Few months back Zong launched Super Load or All in One Bundle which have made huge success and Zong customer’s pleased to use such kind of offer. The same kind of offer is also available on other networks. Zong Super load or All-in-One Monthly 250 bundle have an edge over Ufone Super Load/Card due to more incentives in less price. Like Zong Rs.250 super load or all-in-one bundle remain valid for one month and in Ufone the same offer valid for 15 days. But now the bad news comes, Zong announced to increase their All-in-One Monthly 250 bundle from 11th Dec, 2015 and the new price will be Rs.300. 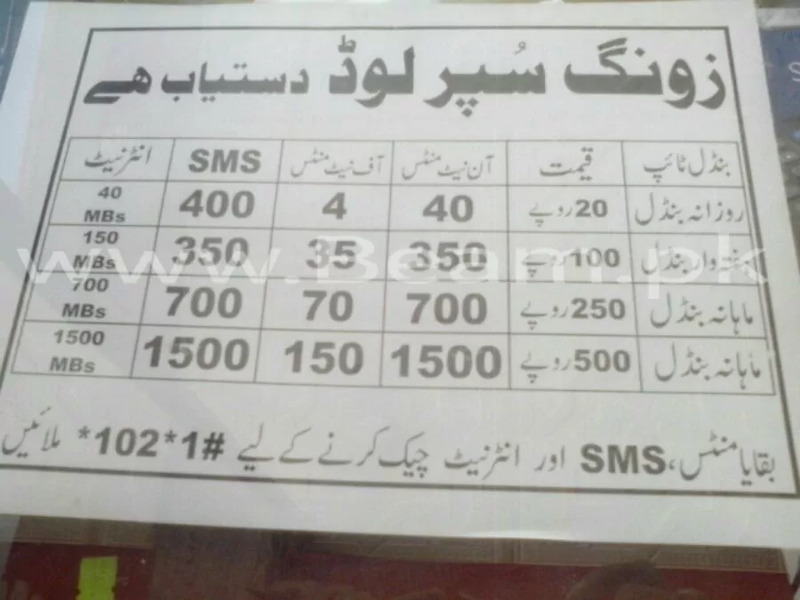 In an notice on Zong website they are now increasing the rates to meet better service quality. But whatever the reason’s Zong customer’s won’t like that decision. Update: From 24th June, 2016 the price of All-in-One Monthly 300 bundle is being revised to Rs. 350. Now you will get super load of Rs.350 instead of Rs.300. How to Activate The Monther Mini Offer.? This package will not available from 20th May, 2016. Dear sir please keep a low budget package for poor peoples like us.a package of around 250 or 300 for the whole month.if you do not offering the internet its ok we just want talk time for our relatives.